Sometimes you become connected with someone serendipitously, and end up being part of the biggest day of their life. Enter Kate. I connected with her on Twitter, and happened to see that she had written a blog post about planning her wedding in 2 months. Once I read the blog, I knew that Nick and I had to be a part of her wedding and her story. I contacted her, and turns out, she still needed cinematography for her wedding! DONE! What a day! We are so blessed to have made these friends and to have been there to help tell their story. 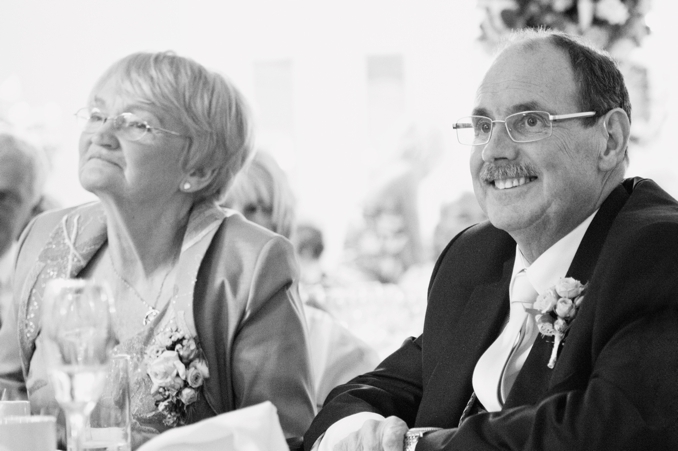 Here is a lovely image we snapped of Kate's proud dad, Clive and her beautiful mom, Lorraine. Love to all of you! HOLY CRAP!!!! You knocked it out the park!!! wowowowowowowowowo!! Oh my goodness, what a beautifully shot film. I'm full of emotion. Such a precious piece of history captured forever for Kate and Andy. Five years on never get tired of watching this. Beautiful memory of my Daughters very special day. So much has happened over the last five years. Some very sad moments, losing Kate's father one month after this day. A wonderful day on which Kate and Andy's daughter came into our lives 2015 and filled our hearts with happiness. Bless you for the skill and tenderness you showed during the making of this epic video.